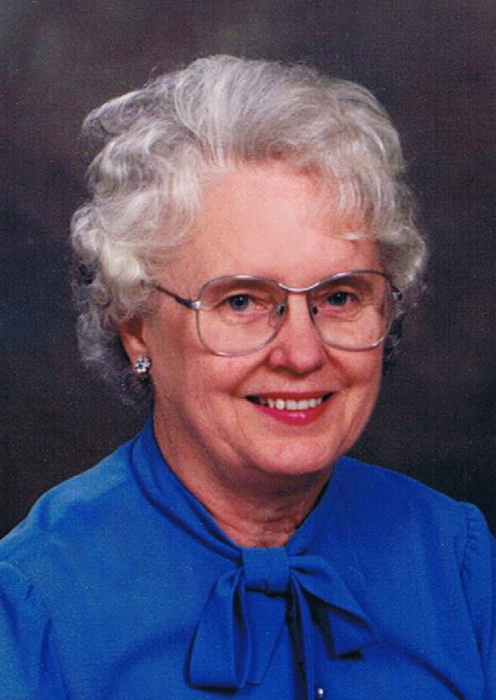 Mary Waslen, aged 95, passed away peacefully at Royal University Hospital, Saskatoon, SK. She was predeceased by her parents George and Magdalena Rogowski, her husband William “Bill” Waslen, her eldest son Raymond, brothers Henry and William Rogowski, and her brother-in-law Michael Lys. Mary will be sadly missed and remembered with much love by her son Gerald Waslen of Moose Jaw, SK, her daughter Marjorie (Tom) Koch of Regina, SK, granddaughters Christine (Joseph) Kuzma of Cortez, CO, USA and Sandra (Zach) Wall of Dundurn, SK and by her sister Helen Lys of Saskatoon, SK, as well as nieces and nephews. Mary was born in Meleb, MB. Her father worked for the CNR, and the family moved a number of times, finally settling in Moose Jaw. She was married to Bill Waslen, and they worked hard to establish Kingsway Grocery on South Hill in Moose Jaw, Western Cindercrete, and Trout Leader Distributors. They worked together for many years to make their businesses successful, and to raise their three children. Bill passed away in 1982, and Mary’s final years were spent in Saskatoon. A celebration of her life will be held at Windsor Chapel, 704 Windsor Street, Saskatoon, SK on Tuesday, April 16 at 4:00 PM. A private family interment will be held at a later date. Funeral arrangements are being made by Funeral Director David Schurr of Mourning Glory Funeral Services (306) 978-5200.